The Texan's Twins by Pamela Britton is the first book by the author and I really enjoyed reading it. This series is written by different authors and while the stories are all standalone, there is an ongoing mystery of the missing mother of Jet and his sisters. I loved reading Jet Baron's story who hates working for the family oil business and is more interested in rodeos, flying helicopters and working on the family ranch with horses. He is likable and hit with the ladies but then he falls for Jasmine who is a single mother of twin girls. She has just moved here and is the new employee in his family's oil company. They get off on the wrong foot but soon Jet's caring nature begins winning over Jasmine's skittishness. 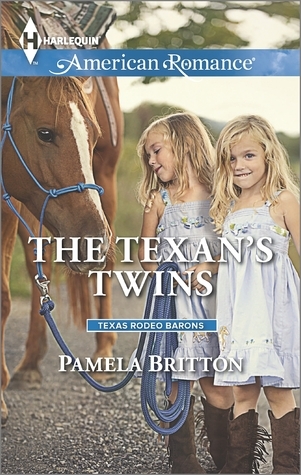 The setting is Texas and Pamela builds a realistic world of ranches, horses, rodeos, barbecues, oil mining and the rugged feel of the countryside. I enjoyed following Jet and Jasmine as they try to figure out their feelings for each other. Jet is a sincere guy who genuinely wants a life with Jasmine and her twins. The heartbreak, romance and family drama are all so endearing that I was left wiping my eyes then feeling hopeful and then smiling watching these two stumble and then get up again. The twins are so cute. 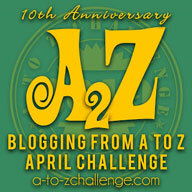 I loved reading about their antics and could visualize them as they were portrayed. We meet the characters from the previous books in this series again and it was enjoyable meeting them again and watching them so happy in their lives. Not much is disclosed on the background mystery of the missing mom in this book but still the romance is so admirably narrated that I didn't feel any dissatisfaction. All in all, The Texan's Twins is an endearing love story of sacrifices, forever kind of love and the determination to cross all hurdles to get to ones happily-ever-after. 4 out of 5 to it and recommended to all lovers of romance. I received the book from the publishers, Harlequin via Netgalley and I am very thankful to them. The above review is my honest and unbiased opinion and in no way influenced.